Back in the Indie Towers of 1996, Brit-pop was on the decline and bands like Placebo, Beck, The Manic Street Preachers and Kula Shaker were enjoying more commercial success and people were getting off their heads going around singing “Lager lager lager lager lager”, like some crazed extra from Trainspotting. However, if you were living in the Borough of Manchester, you were lucky enough to hear of Puressence, who back in 1996 were a band that began to make waves. They were that cool, underground band, who gained a cult fan base and bridged the gap between Swagger Manc bands with dodgy haircuts and existentialist post-punk. With James Mudriczki on vocals, Neil McDonald on guitar (later replaced by Anthony Szuminski), (later replaced by Lowell Killen), Kevin Matthews on bass and Anthony Szuminski on drums/percussion, Puressence weren’t a band you could pigeon-hole, they were a mesmerising mix of alternative rock, electronica, shoegazing, dark wave, soul and neo-psychedelia. They were an industrious, uncompromising band, a law to themselves, whose charismatic lead singer ticked all the boxes and won over a legion of fans. As a front man, Mudriczki was the epicentre of Puressence, blessed with a voice that chills, thrills and scores feverish on the Richter scale. Unlike his contemporaries, Mudriczki doesn’t have to rely on any gimmicks or cliches, he is the real deal whose vibrato quivers like seismic waves and melts like volcanic molten. Like The Chameleons, Puressence were Manchester’s best kept secret, who for some unfathomable reason, didn’t quite hit the big time. Despite having supported Iggy Pop, Suede and Depeche Mode, and being signed to Island Records and later Reaction Records, Puressence gained a larger fan base in Greece.Whether it’s because Manchester got a bit blase with their musical heritage, weren’t ready for an overtly emotional intelligent band, or became too fixated with the glory days of Factory Records, it remains a mystery why Puressence wasn’t as popular in their Native Manc. Regardless, Puressence will always remain in a special place in the Manchester psyche of music, a bunch of down to earth lads, who placed the trials and tribulations of life into a secret chamber, and slowly lifted the lid, allowing the darkness to reflect from the mesmerising moonbeams. 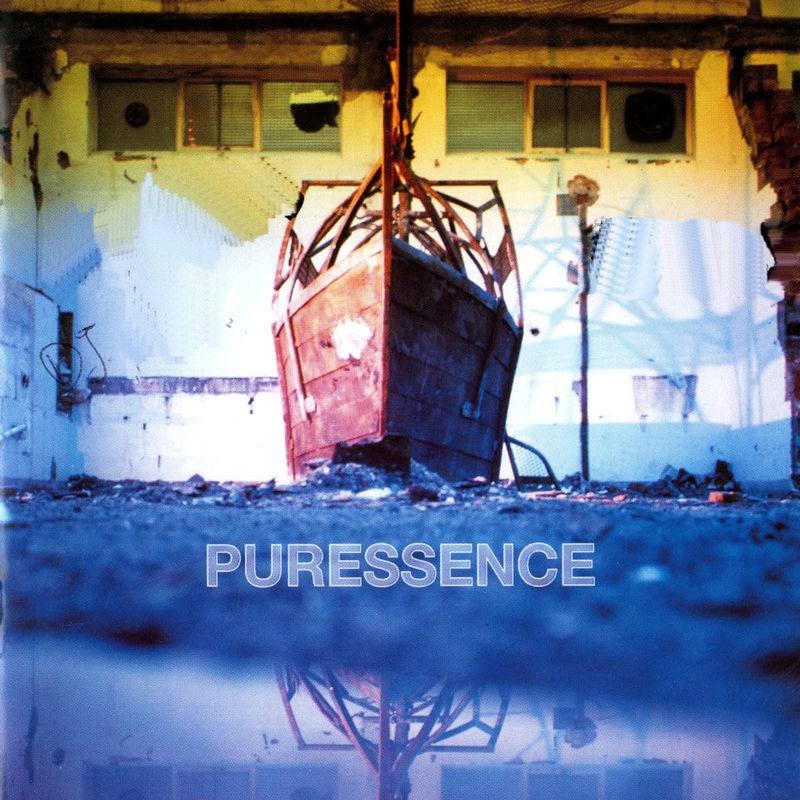 With their eponymous debut album, “Puressence”, released on 29th April 1996, Puressence were very much influenced by their environment, everyday life and was only the start of the band’s brilliance. A natural progression from their previous double A sided singles “Siamese”/ “Scapa Flow”, released in 1992 and the follow-up EPs, “Petrol Skin” , released in 1992 and “Offshore”, in 1993, the debut “Puressence”, was an impressionable album back in 1996, whose textured tones evoke an understated sense of melodrama and burning intensity. Through the sheer dexterity of McDonald’s and Matthews virtuosic intricacies, Szuminiski’s versatile beats and Mudriczki’s intangible sensuality, Pureessence’s debut album was a winning formula. It is an emotionally driven album, with its sentiments in check, meticulously crafted, whilst being artistically aligned. Moreover, it’s an album which put Puressence on the Manc Map, creating a visceral blend of abstract nuances and inflamed crescendos, whilst standing the test of time. 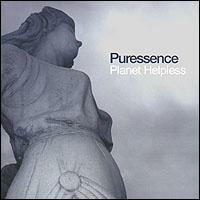 1) “Near Distance” is an epic opener by Puressence. Through the chilling riffs, eerie screeches and cinematic inserts, “Near Distance” emerges like a powerful force, quietly confident, taking everything in its stride. It’s a slow burner, whose bass throbs against the subtle fluctuations and pulsating beats. It’s a fight or flight thriller, whose adrenaline infused riffs race, crash and spin in unison. Along with Mudriczki’s smooth vocals, “Near Distance”, glides on a higher plane, whose circulating riffs resonate and circle, indicating the phoenix has landed. 2) “I Suppose” is crestfallen and combative in equal measures. Through the thunderous beats, brooding bass, vaporous riffs and razor drones, “I Suppose” pulsates with iron-will, whilst regenerating in the mire. Along with the crashing riffs and helium swipes, “I Suppose” counterblows hot air against Mudriczki ‘s bellowing vocals. With the haunting murmurs and undertones of piano pounding, “I Suppose” probes and permeates its melancholy whilst being dismantled by the sweeping drones. It’s a great track whose wounded soul is empowered by the fierce riffs, whilst synchronising with the cacophony of sounds. 3) “Mr Brown” is an intoxicating mix of dark-wave discord and brooding suspense. It’s an urban thriller, which sees Mudriczki effortlessly evoke and provoke the dark sentiments of the song. A master of melodic operatics, Mudriczki is that rare breed of singer that can subconsciously emit a spectrum of emotions, pushing buttons through the magnitude of his vox. Along with the interlude of dangling, fuzz-rock and zig-zag riffs, “Mr Brown” lacerates and licks its wounds, whilst annihilating its prey, against the thrashing beats. 4) Soaked in melancholy, “Understanding”, is a wistful track, which glides and collides in its celestial skies. It’s hauntingly beautiful, which sees Mudriczki’s lovelorn vocals drain against the torpid piano strokes. Through the quivering and reverberating riffs, “Understanding” flickers like a collapsed star, aside the militant beats. Along with the stream of shoegazing riffs, “Understanding” trails like a fireball, rotating and spinning, illuminating aside the floating beats. 5) With its tender riffs, “Fire” seductively jangles and pendulates, whilst unravelling its flammable layers. It’s a hypnotic track, whose vocals are lava leakage, erupted from its magnetic core. Along with the rush of vocal backtracking, “Fire” devil dusts, spins, and rises against the tephra riffs. It’s a captivating and perplexing song, a trembling mass of magma which showcases the intangible sensuality of Puressence. 6) With its guzzy riffs and elongated melody, “Traffic Jam in Memory Lane” is a glimpse into the quintessential indie rock of the mid-90s. With remnants of melodic Brit-pop, “Traffic Jam in Memory Lane” is a nostalgic reminder of that understated production of the guitar-laden band. It’s an infectious track that captures the frustrations of misspent youth, whilst remaining breezy and upbeat. 7) “Casting Lazy Shadows”, dips into the Madchester psyche of the early 90s and could quite easily have been a Happy Mondays bonus track. With the acoustic strums, bongo beats and off-kilter tones, “Casting Lazy Shadows” saunters into a sophisti-pop horizon, whilst glimpsing at the sun through its broken shades. It’s a restless mantra, whose abrupt and gritty narrative keeps it real amongst the backdrop of neo-psychedelic riffs and bouncy beats. 8) With the unhinged beats, tightly gripped riffs and nomadic bass, “You’re only trying to twist my arm”, transmits like a high voltage electric grid, generating energy, misfiring and rebooting. It’s a jerky, intriguing track which sees Mudrizski’s vocals obscure against the short circuit and pylon pulses. Along with the translucent undercurrents, “You’re only trying to twist my arm”, submerges and ripples against the grinding riffs and shuffle beats. 9) “Every House on Every Street” prowls down the dark alleys and resides in the doldrums. It’s a song etched in gloom and whose sullen vocals highlight Mudrizski’s ingenious skill at conveying the deepest of emotions. Along with the menacing drones, bloated beats, buzz-saw and tinny riffs, “Every House on Every Street” rattles around the shadowy corners of its soul. 10) “India” rises from the crevasse, peering at the Samkhya skies and awakened by flickering riffs. It’s a captivating track whose jangly riffs singe and revive against the coiled bass. Through Mudriczki’s primitive wailings, “India” sheds skin and slithers into an abyss. Along with the interval of deadly drones and oblique riffs, “India” wrestles with the deities, demons and demigods before reaching its enlightened place. 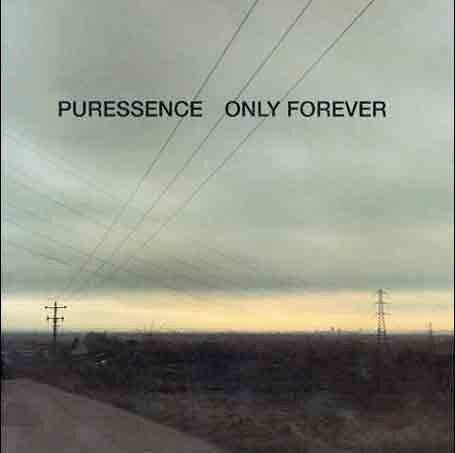 Released on 17th August 1998, “Only Forever” is the second album from Puressence, which captured a more polished and diverse sound of the band. Incorporating a more baroque-pop, soulful, neo-psychedelic, token folk sound whilst remaining loyal to its shoegazing roots. With James Mudriczki on vocals, Neil McDonald on guitar, Kevin Matthews on bass and Anthony Szuminski on drums, “Only Forever” is a brilliant album and whose first single, “This Feeling”, was played on radio and showcased on MTV, which placed Puressence firmly on the Indie radar back in the day! 1) “Sharpen Up Your Knives” pounds and drifts in discord, sinks into an elegiac pit, before fighting back with its formidable spirit. It’s a stormy opener, whose tumultuous tones and thumping bass pulsates against the jangly and curving riffs. It’s Puressence personified, a thrilling mix of moving melancholy and intense emotion that lurks and hides in the darkest chambers and escapes through a trap door. Through Mudriczki’s exemplary vocals, “Sharpen Up Your Knives” cuts deep and its sentiments are immortalised by the piano strokes and ethereal violins. 2) “This Feeling” is one of those songs that totally captivates. It’s Puressence’s unofficial anthem and is emotionally intimate, whilst being unintentionally celebratory. It’s a song which epitomises Mudriczki’s calm composure and ability to command a song, whilst connecting deeply with its audience. Lyrically raw, “This Feeling” is paradoxically poignant, whilst emancipating the spirit. Through the gentle strums and fierce riffs, “This Feeling” is an all consuming affair whose pain and pristine beauty is crystallised by the sweeping violins that pierce to the core. 3) “It Doesn’t Matter Anymore” is like the James Bond track that got away. It’s a wistful track which sees Mudriczki’s windswept vocals blow away the debris from the jaunty and tidal riffs. Through the orchestral undercurrents, “It Doesn’t Matter Anymore” ebbs and flows like a rock-baroque ballad, without the schmaltz or being overly sentimental. Along with heartfelt lyrics, “It Doesn’t Matter Anyway” evokes a stream of emotions, whilst exuding a gripping grandiose. 4) With the prism riffs, “Street Lights” refract light into the solitary confinement and hidden alleyways. It’s a great song whose robust riffs capture the alternative rock grit of the 90s, reminiscent of The Manic Street Preachers. Along with the sinewy vocals of Mudriczki, the pulsating bass and pounding beats of “Street Lights” is testament to Puressence’s versatility as a band and skill at passionately throwing themselves into all spectrums of rock, with such ease and finesse. 5) With the translucent riffs, celestial clatter and lurking bass, “Standing in Your Shadow” orbits around the tender vocals and lovelorn lyrics. Produced by The Stone Roses’s Mani, “Standing in Your Shadow” is immaculately crafted which slowly rotates from Dusk to Dawn, against the crepuscular chimes and delicate beats. It’s a song that twinkles in the twilight and obscures in the darkness. Through the classical collisions and fuzzy rock riffs, “Standing in Your Shadow” tilts towards velocitation before it backtracks and slumbers against the jagged riffs. 6) “All I Want” is a soulful track, whose acoustics strumming, collapsed slams, rattlesnake percussions, Motown beats and orchestral undertones, stir a sense of melodrama likened to the Bacharach age of the 60s. It’s a classically crafted baroque ballad, which ascends into a dreamy, vivid out-tro, whilst pulling on the heart strings. 7) With stripped down acoustics and luminous landscape, “Behind The Man” is a beautiful track which is reminiscent of Simon and Garfunkel. It’s a fleeting trip into the woods, gathered around the folk fire, gazing at the silhouettes. 8) “Never be the same again” is a fierce baroque rock track which oscillates and is swept by the orchestra breeze. It’s a track which edges towards melodrama and is tinged by art-rock. It’s also a track which reveals a greyer shade in Mudriczki’s vocal palette, which soars and is cool against the thunderous rush of tinny and cyclone riffs. 9) “Hey Hey I’m down” does what it says on the tin and reaffirms Puressence as purveyors of melancholy and creating music that pierces the soul. Through the poignant lyrics and heartfelt vocals, “Hey Hey I’m down”, resonates against the jangly riffs and throbbing bass. Through its fighting spirit, “Hey Hey I’m down”, resurrects from its bed of nails and soars into post-grunge purgatory. 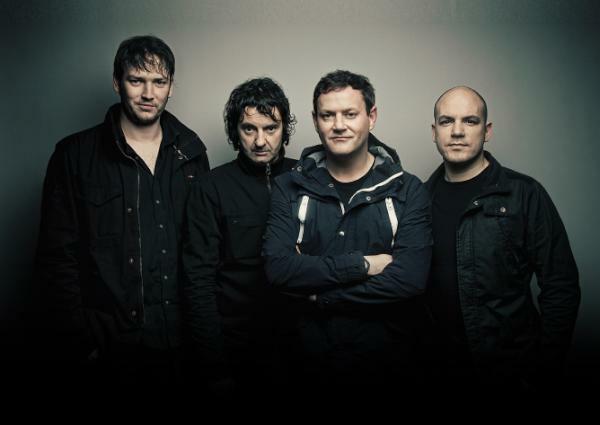 10) Through the gauzy riffs, “Past Believing” is the quintessential post-Brit-pop song. It’s a great track whose dual vocals delve deep into the recesses of dark wave, celtic and goth rock. It’s a meticulous production which is firmly rooted in the shoegazing origins of Puressence, whilst creating a cohesive blend of melodic rock. 11) “Turn the Lights Out When I Die” slithers in an underworld of translucent tingles and spectral suspense. It’s a sublime track whose burning intensity seeps through the tangled riffs and aching vocals. Through the trip-hop beats, inflamed riffs, dark lyrics and piano tinkles, “Turn the Lights Out When I Die” is stung with sardonic wit and drenched in melancholy. Along with Mudriczki’s intense vocals and eerie out-tro, “Turn the Lights Out When I Die” is a hit on the senses, an altered state that completely captivates. 12) “Gazing Down” is an epic album closer, an astral journey into the unknown, drifting in and out of lucid states. It’s hauntingly beautiful, which sees Mudriczki’s vocals trudging in turmoil, burn and become immortalised through the spectral tones. It’s a song which flaunts Puressence’s musicianship, unity and dexterity as a guitar-laden band. Through McDonald’s and Matthews’ virtuoso guitar playing, “Gazing Down” mutates and metamorphosizes in an extended interlude. Through the riffs, “Gazing Down” flares into a gusto of garage psychadelia, likened to The Stone Roses. It’s an impressive spin of rummaging riffs that flickers, nose-dives and soars its hallucinogenic strobe lights into a celebratory frenzy. 1) With the throbbing bass and crackling and gyrating riffs, “Walking Dead” roams where angels fear to tread. Relased as the only single from “Planet Helpless”, “Walking Dead”, is a superb track, whose “come hither” muffles and sliding riffs provoke a more edgy Puressence sound. Along with the industrial spins, clicky beats and flickering beeps, “Walking Dead” is a perilous excursion in the middle of the night; it’s a nocturnal rush that awakens the senses and reaffirms Puressence’s Urban, gritty edge. 2) Through the acoustic riffs, flicker of synths and eerie ambience, “Prodigal Song” is a hauntingly beautiful song, whose perplexing lyrics and vocal delivery, transfix and unravel an intriguing narrative. Through knotted riffs, relay of dual vocals and spurts of fire, “Prodigal Song” quietly wrestles its demons against the ghostly backing vocals and backtrack of spectral synths. 3) Through the inflow of Castilian riffs and piano trinklets, “How Does it Feel” drifts you off to an exotic destination, overlooking the glistening sea and soaking up the sultry ambience. It’s a sumptuous track, whose smooth vocals glide and are swept off by the frenzy of Flamenco Falseta infused Mariach Trumpets, rumbling beats and fanned by the accordion furore. 4) “Analgesic Love Song” is a sublime song, whose thumping beats, dub bass, sly shrieks and industrial clatter drifts Puressence towards an idiosyncratic, neo-folk soundscape, likened to the band James. Along with the thrashing guitars and echo-laden vocals , “Analgesic Love Song”, creates a melodic motif, whose pain bounces against walls, reverberating rattles in the recesses of its soul. 5) With its disco beats, whistle riffs, synth seizures and drones of clanger synths, “She’s Gotten Over You” catapults and nosedives into its volcanic soup. It’s a cosmic track, whose rusty riffs collide and spin against the comet curves and shield from the crater debris. Through Mudricski’s vocals and the forlorn lyrics, “She’s Gotten Over You” is emotionally driven, whilst accelerating towards the starry stretches of outer space. 6) “Make Time” is a baroque, rock thriller, whose orchestral shivers and quivers and jittery riffs evoke a sense of mystery and intrigue. It’s a majestic song, which unravels an electromagnetic wave of elongated riffs, which engulf the inertia. Through Mudricski’s cagey vocals, “Make Time” travels incognito aside the shadows and synth puddles. 7) With its trippy flute infused piano, and its mandolin-esque riffs, “Planet Helpless” tilts towards 60s psychedelic folk, whilst sauntering towards a trip-hop horizon. It’s a great song, whose melancholy masquerades behind a sunny disposition and whose vocals shine beyond the rain. Through the fluttering riffs, cascading cello and springy percussions, “Planet Helpless” sprightly skips towards a faraway place, casting shadows aside the cinematic murmurs. 8) Through the throbbing bass“Ironstone Izadora” pulsates with a heavy heart, whilst being tinged with Eastern promise. It’s an voyeuristic track, whose neo-psycheldic riffs waver in juxaposition with the Tabla beats. Along with the hazy vocals, wah back-tracking and rattlesnakes, “Ironstone Izadora”, is a transcendental track, whose kundalini energy is awakened through rush of rumbling beats, mantras and sitar singed riffs. 9) Through its sinewy and curving riffs and drawn out vocals, “You Move Me” is a celestial rock song, whose sentiments are encapsulated through the heart warming lyrics. Along with the lustrous interlude of dual vocals, “You Move Me” goes back to basics, whilst ascending to euphoric heights. 10) With its robotic bleeps, cavernous slams, bongo beats and menacing bass, ”Comfort When You Smile” hides in the darkest pits amongst the droids and Dianogas. It’s a sublime track whose menacing bass strolls like an Imperial Walker, through the farfisa fog and R2D2-esque bleeps. Along with Mudricski’s falsetto vocals, psychedelic backtracking and saber syths, ”Comfort When You Smile” is testament to Puressence’s skill at stepping out of their comfort zone and producing an experimental and contemporary sound. 11)With its prowling bass, space synths, and trip-hop beats, “Strangers” loiters around by the smudgey trumpets . It’s a trance induced track, which sees Mudricski’s vocals transmute into a more ethereal entity, and circle amongst the snake charmer synths and Phantom-esque riffs. 12) “Heart of Gold” is a wistful song whose zippy, sophisti-pop percussions and flickering synths pulsate against the acoustic riffs and dazy ambience. Along with the spritz of spectral synths and airy backing vocals, “Heart of Gold” is elevated by the ethereal synths, floating on a dream-pop cloud. 13) With its gentle strumming shuffle beats and tender vocals,“Throw Me A Line” is achingly beautiful and smooches with Tartarus in an underworld of pleasure and pain. It’s a hypnotic track, whose sundrenched riffs reverberate against the quivering cello and stellar obliquity. 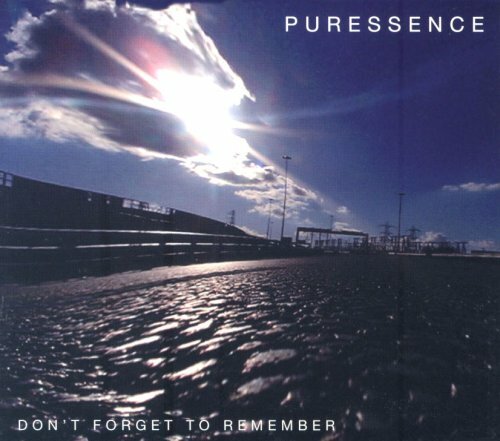 Released on 24th September 2007, “Don’t Forget to Remember”, benchmark’s Puressence’s return with a modified band line up and a more diverse sound. With Lowell Killen now replacing Neil McDonald on guitar, James Mudriczki on vocals, Kevin Matthews on bass and Anthony Szuminski on drums, “Don’t Forget to Remember”, is a Manc Masterpiece, a hybrid of guitar-infused electronica and melancholic dream-pop, customised with waves of cinematic inserts. It’s an album which sets the bar high, whilst taking an emancipated leap into the unknown, which was evidently a significant time for Puressence’s experimental evolution. 1) With its clanging slams, crunchy riffs and compressed beats, “Moonbeam” commands your attention to gaze into its glimmering eyes. It’s a majestic track, whose illuminate and squiggle riffs, wax and wane aside Mudriczki’s immaculate vocals. As an opening track, “Moonbeam” radiates a sense of fearless wonder, a wistful warrior whose headbashing riffs, align like troops, reaffirming Puressence prowess and skill at producing music that is bold and mesmerising in equal measures. 2) With heart wrenching vocals and meloncholic lyrics, “Don’t Forget to Remember” is drenched in sorrow and nostalgia. It’s a beautiful catharsis which wears its heart on its sleeve, whilst quietly moving on. Like most Puressence songs, “Don’t Forget to Remember” goes straight for the emotional juggler, and confronts its pain with the utmost integrity. Through the grandiose of guitars and thumping beats, “Don’t forget to Remember” spins, drones and pulsates with fire in its soul. 3) Sometimes a band is lucky enough to have a singer who effortlessly takes centre stage. They are a natural born entertainer, their voice is an extension of their soul and is a standalone instrument. With ”Drop Down to Earth”, Mudriczki characteristically emits about 30 emotions in one take, which provides the melody, the motif and the sentiment and acts as an emotional barometer. With remnants of new wave, post-punk likened to the Psychedelic Furs, “Drop Down to Earth” is an amazing song whose riffs spin and crash against the levitating synths. 4) Through its eerie whistles, jangly riffs and drowsy piano, ”Don’t Know Any Better” drifts you off to an altered state of consciousness. It’s a sublime track whose divine vocals transfix and seep sensuality from the deepest visceral veins. Through the acoustic riffs, percussion puddles and tapping beats, “Don’t Know Any Better” exudes a soothing serenity amongst the rain and ripples. 5) With its jagged riffs and dub bass, “Life Comes Down Hard” reverberates like Jah Wobble and Tim Booth on heat. It’s a free-spirit which dances around the shooting stars synths, amongst the shamanic vocals, spitting fire aside the revving riffs and splashing beats. 6) “Bitter Pill” is a hauntingly beautiful track, whose jangly riffs, pulsating beats and spiral synths rotate around the elongated vocals. Along with the metallic mesh and New-Order-esque synths, “Bitter Pill” rises above the sour skies. Like most Puressence songs, “Bitter Pill” burns, seethes and soars against adversity and whose wayward riffs circle like flames from the ashes. Through the repetitive out-tro and eerie synths, “Bitter Pill” shifts in a trance-like state and dwells amongst the nightmarish demons and clowns. 7) With the adrenaline spiked synths and Alpha ambience, “Brain Waves” is a mass of scratchy white noise, fluctuating amongst the Beta bass and higher and lower frequencies that cohere with Mudriczki’s breathtaking vocals. It’s an immaculate production whose synth infused guitars oscillate amongst the Delta, and Theta waves whilst taking an automatic excursion towards the Reptillian Brain. 8) With tight-fisted riffs and revving bass, “Palisades” waves the rock flag, whilst sleep walking on splintered debris. It’s an amazing track whose piano tinkles and orchestral synths slide into the wormholes, whilst exuding a haunting sweetness. Along with Mudriczki’s dazed vocals and the dual vocals, “Palisades” stagnates, soars and spins through the lucid riffs, trapped in a parallel universe. 9) With its stripped down acoustics and sitar-esque quivers, “Sold Unseen” exudes raw emotion, which is intensified by the Mudriczki’s heartfelt vocals. It’s an exquisite song, whose aloof piano-esque synths slam between the rotating riffs and sturdy beats. Through the sorrowful lyrics, “Sold Unseen” reveals its core and whose anguish is relayed through the interval of Mudriczki’s wails. 10) “Burns Inside” is one of those tracks which reminds you of Puressence’s ingenious skill of translating emotions into an art form. Through the Spaceship synths, splodges, sirens, flickering riffs, space beeps and oscillating riffs, “Burns Inside” provides an abstract backdrop, a transcendental transition into intermitting realms. It’s a great song, whose intense vocals and haunting dual vocals are singed in sorrow, whilst ascending with resolve. Along with the cohesive waves of incandescent riffs, descending riffs, melodic piano and pounding beats, “Burns Inside” evokes a strong sense of melodrama whilst hanging by the wayside. 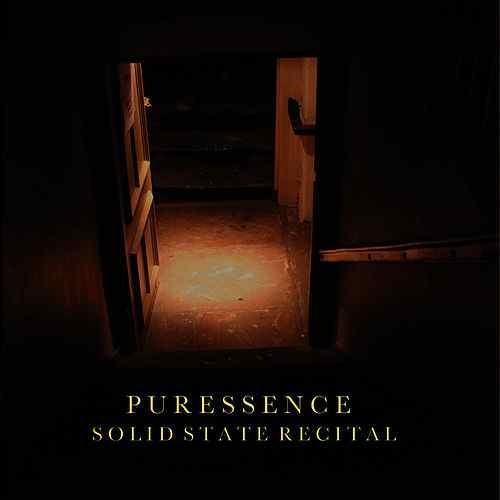 Solid State Recital is the fifth album from Puressence, which was released on 25th April 2011. It is an album which saw Puressence reflect, regress, simmer and rise from the ashes . It’s a majestic album which evokes a sense of solitude, whilst sending you an intimate invitation to its selective soul. With James Mudriczki on vocals, Lowell Killen on guitar, Kevin Matthews on bass, Anthony Szuminski on drums and the legendary Judy Collins on vocals on tracks 1 & 3, “Solid State Recital” is a heartfelt haven, a meditative state that transcends, transfigures and transmutes into Stellar nucleosynthesis. Remaining true to their shoegazing, dream-pop, grit-rock and soulful roots, “Solid State Recital” sees Puressence abandon their experimental edge, prevalent in previous albums, and return to their core fusion of emotional elements. Sadly “Solid State Recital” is Puressence’s final album, which led to the band splitting up two years later. However, after passionately throwing themselves into their work for over 20 years, “Solid State Recital” is testament to Puressence’s amazing talent and staying power which consolidated their achievements, alchemised and reaffirmed their catalogue of work as a Magnum Opus. 1) With the breaking synth, rumbling drums and aerial ambience, “Swathes of Sea Made Stone” evokes a cinematic dream-pop sequence, a subconscious flashback to a faraway place. Along with the stunning vocals. “Swathes of Sea Made Stone”, floats, swirls and cascades its translucent tones through the metallic mesh of jangly riffs. It’s a majestic song, which stands in union with the bagpipes blazing, church bells ringing while marching along it’s rugged coast. 2) “Burma”, retrogrades Puressence back to their shoegazing and dreampop source, whilst pulsated by the neo-folk beats. Through the shimmering, swishing riffs and sprinkles of cosmic dust, “Burma” gazes at the stars in its wistful state. It’s a captivating track whose vocals soar, accelerates and shatters the broken debris. 3) With the militant beats and piano trinkles, “When Your Eyes Close” unravels a powerful and pristine production. It’s a hauntingly beautiful song, where Mudriczki’s vocal accompaniment with Judy Collins, collectively emits an aurora-esqe tonality on a high latitude. Along with the jagged riffs , “When Your Eyes Close” spins and rotates in its own dark plasma, whilst colliding through the trajectories of jangly/sax-infused riffs. 4) With its delicate trickles and melancholic lyrics, “Cape of No Hope (Water’s Edge)” drifts like a spectral ship across the translucent tides. It’s an exquisite song, whose rustling riffs crash against the stagnant shores. Through the storm surge of riffs, “Cape of No Hope” soars with sheer gusto, rising with a gravitational pull of the sea and the moon. 5) “Majesterial”, with its luminous riffs and reflective lyrics, is a pensive track which awakens, staggers, yanks and slams aside the skyward vocals. Through the vortex of synths, and surge of riffs, “Majesterial” exudes an eerie grandiose, which time travels and fades into oblivion. 6) With its throbbing beats and sax–infused riffs, “Solid State” stomps its Motown, Mod and Northern Soul in a nostalgic all-nighter, pumped up on amphetamines, going through the motions,whilst the crowds flock to the scene. It’s a great track, which simultaneously uplifts and downpours amidst the dry ice and strobe light riffs. It’s a melodic meltdown, which puts on a good show, whilst pogo-jumping within a confined space. 7) “Raise Me to the Ground” shakes, shivers, trembles, quivers and swings in the vortex of time and space. It’s a deeply emotional track, whose nimble fingered and wave of crashing riffs, antagonise against the ebb and flow of Mudriczki’s intense vocals. 8) Reminiscent of 80 post-punk, “In Harm’s Way” captures the beauty and melodrama of arena-shoe-gazing rock. Likened to U2 during the prolific age of Unforgettable Fire, “In Harm’s Way” is a windswept wonder whose vocals soar amongst the jangly riffs, haunting murmers, xylophonic tinkles and the prowling piano. 9) With its thumping beats and springy riffs, “Another World” takes a Quantum Leap into a new dimension. It’s a mesmerising matrix whose robotic vocals process single-mindedly along the grid of fuzzy and linear lines. It’s a great track, whose horizontal synths float across like an android plane. Along with the scratchy synths and xylophonic tinkles, “Another World” electro-magnetises whilst rotating in 3D. 10) “Our Number’s Oracle” is a gravitational wave of shrieks and drones, whose swirling riffs collide and explode like a cluster of neutron stars. It’s a magnificent track, which spews it’s dust like an alchemical explosion, and whose primal vocals soar and narcotisize in parallel to the tribal beats.